You can download “The guide for WRESTLE KINGDOM 13 in TOKYO DOME” for free!! 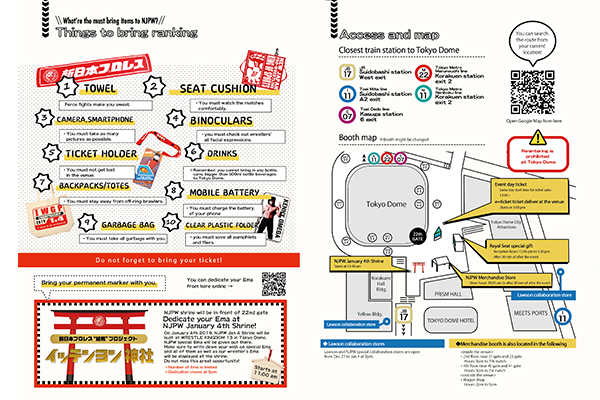 This important guide will help you understand all you need to enjoy the “WRESTLE KINGDOM 13 in TOKYO DOME”! Map, merchandise, and how to chant are all in this guide! Please download and bring this for the match! 1. 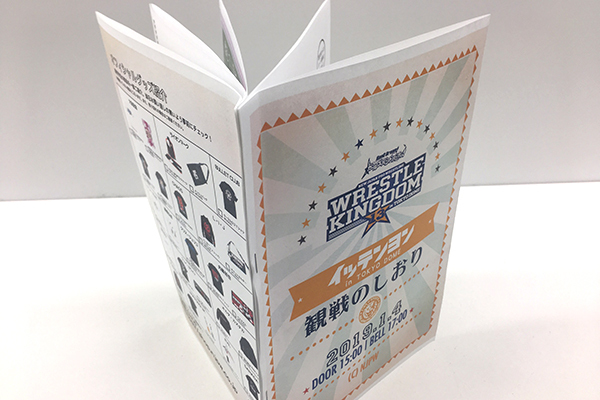 Print “The guide for WRESTLE KINGDOM 13 in TOKYO DOME”!! Please download PDF file and print out all 5 sheets single sided (We recommend color printing). Here is PDF for printing! 2. “Fold paper in the half” all printed paper! Please fold paper in the half printed side of 5 sheets of paper. 3. Staple 5 sheets of papers in order! ※ Please be careful the placement of staple. Ready for the WRESTLE KINGDOM 13 in TOKYO DOME!